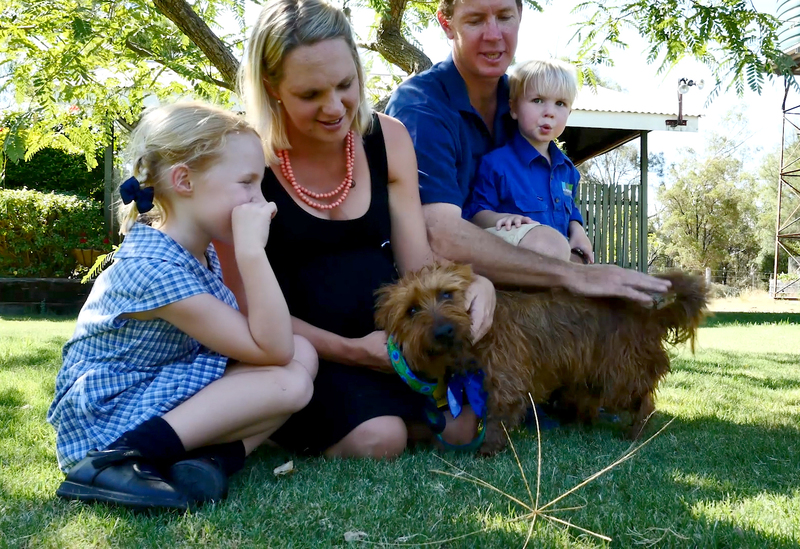 The cheeky hitchhiking terrier, Rusty, who hitched a 1,500-kilometre ride on a truck from his home in Goondiwindi, Queensland, to Snowtown in South Australia has captured the hearts of the nation. Rusty’s adventure began after he decided to go looking for his family while they were away on a short holiday. Somewhere along the way Rusty decided to stowaway on a truck driven by Paul McDowell and his wife Heather Reid, and when they discovered him they decided to take him with them until they could identify and get in touch with his owners. After his owner Laura was made aware of Rusty’s incredible journey she put out a call on social media to see if anyone could assist in getting Rusty back home. As the industry leader in pet transport we jumped at the chance to see Rusty reunited with his family and offered to transport him home free of charge. In order to get the little guy home safely we pulled out all the stops by donating a state of the art pet travel crate complete with a stay dry fleece matt and plenty of room to stretch his legs. With the arrangements made to get him home the story began to circulate online and soon almost every news station in the country was calling to get the scoop on Rusty, as the well wishes poured in on social media from all over the world. Rusty’s surrogate family believe Rusty was sent to them to help them get over the grief of recently losing their family dog, who was stuck by a car on New Year Eve but were delighted that Rusty would be reunited with his family once again. “I will miss him though, he’s been great company for our five-month old French mastiff and a distraction following the loss of our other dog in an accident just days before Rusty turned up”, said Heather. Rusty’s journey home began with a few cuddles before he boarded his flight from Adelaide to Brisbane after which he enjoyed the comforts of a stopover at our transit lounge to stretch his legs and have a meal before his 4-hour road transport back to Goondiwindi. 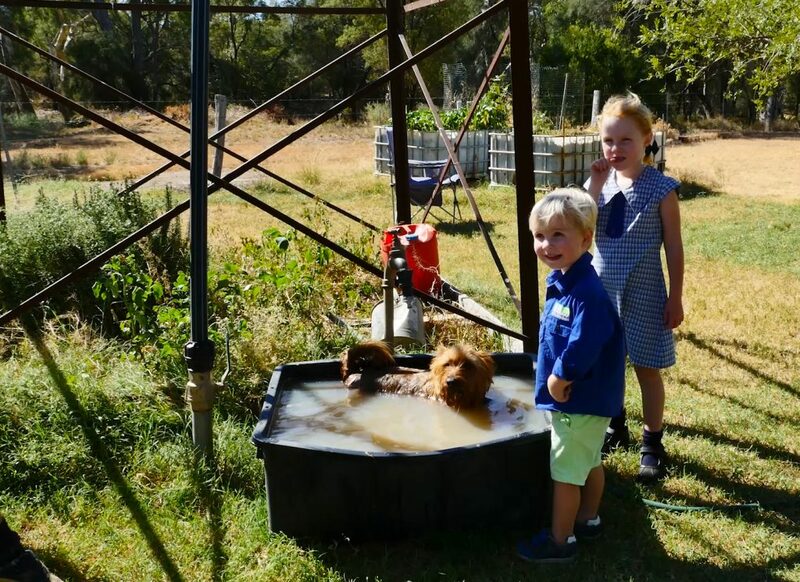 “He was very relaxed and quiet the whole way in the air-conditioned van and only started barking when I drove in to the driveway, so he got a bit excited then”, said pet handler Deb Duce. “It’s really nice to have him back, the kids have missed him and we’re very excited to have him back”, said owner Laura Scudamore. We were also amazed to discover that this is not the first time little Rusty had gone on a solo trip away from home too. In 2016 Rusty was found in Chinchilla, more than 200 kilometres from Goondiwindi. With a children’s book in the works from his previous adventure the author will have to add a few extra chapters after Rusty’s recent adventure. In any case if Rusty decides to get itchy feet and contract the travel bug again you can be sure we will be there to get this adventurous dog home safe and sound once again. Watch Rusty’s Happy Reunion Now.